On the first morning of his pontificate, Pope Francis went to pray by the icon of the Madonna known as the 'Salus Populi Romani' [the salvation of the Roman people]. The icon is situated in the Basilica of Saint Mary Major, a popular Marian shrine in the heart of Rome. The icon is known as 'Our Lady of the Snows' because of its connection to the legend of a miraculous fall of snow on 5th August in the year 358 during a sweltering Roman summer. Although we had our fair share of snow in March already, what links the Holy Father's visit to Saint Mary Major and our own area is that our local Dulwich Picture Gallery currently has an exhibition of some of the finest works of the Spanish Baroque painter Bartolome Esteban Murillo, including his depiction of the story of the miracle of the Virgin of the Snows and the founding of Saint Mary Major (Santa Maria Maggiore). This work, and others, was commissioned by Murillo's friend, Don Justino de Neve, canon of Seville Cathedral. De Neve had a great devotion to 'Our Lady of the Snows', as this was the title of his family's parish church, with the family name itself bearing links to the Latin word for snow. The miraculous snow that fell in the middle of a Roman heat wave is still marked each year with a celebration of prayer in Santa Maria Maggiore and a symbolic cascade of white petals from above. 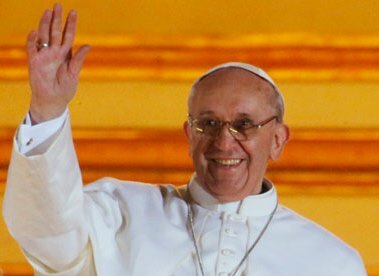 Through the foundations in prayer that Pope Francis has made in his pontificate already may we be assured of a cascade of blessings from above, knowing that, even in the heat of things, the Lord can shower us with his loving care. 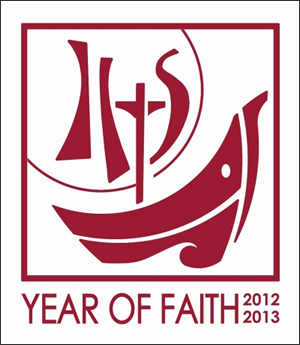 With the Apostolic Letter of 11 October 2011, Porta fidei, Pope Benedict XVI declared a Year of Faith. The year runs from 11 October 2012, the 50th anniversary of the opening of the Second Ecumenical Vatican Council, until 24 November 2013, the Solemnity of our Lord Jesus Christ, Universal King. As well as celebrating the anniversary of the opening of the Second Vatican Council, the Year of Faith marks the twentieth anniversary of the Catechism of the Catholic Church, given to the Church by Blessed Pope John Paul II on 11 October 1992.